Bahrain’s daytime temperatures are finally dropping to a more comfortable 35 – 37 degrees centigrade after a summer of record heat. 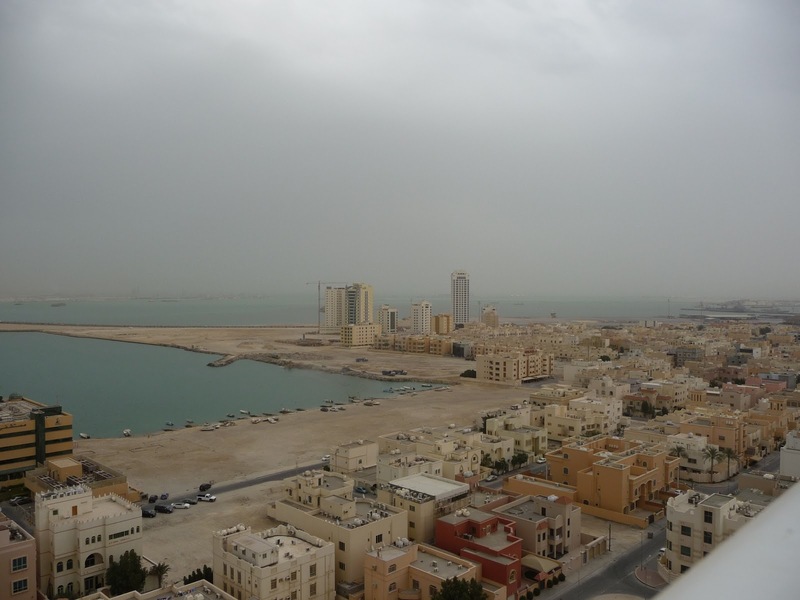 In June we had the hottest June temperature recorded and on a Tuesday in mid July the peak temperature of 47.4C equalled the hottest day in Bahrain’s recorded history. The last time temperatures in Bahrain reached that was in July 2000 and, before that, all the way back in 1902. Coincidently the day after, I left the island for the damp of a UK summer, returning to the heat only in mid September. With the cooling beezes and lower humidity outdoor life can begin again. Sailing becomes comfortable; racing is fun in a cooling breeze not a slog under the blazing sun, cruises to various local reefs to swim and socialise become an atttractive proposition. On land BBQs and camping in the desert are delights to look forward to. Being just after the Autumn Equinox, the spring tides are much higher than usual and it has been amusing to see that land recently reclaimed from the sea in Juffair has been partially flooded most mornings. The tidal differences here are not huge when compared to say the English Channel or the Severn Estuary but, given the low level of the island itself, are significant. Currently a few days after the full moon, high water predictions are for around 2.6m and low water just 0.4m a difference of over 2.5m (about the same as the Solent at Neaps) whereas often the difference is only a single metre.